Through the celebration of contemporary art from the Americas, Pacific and Asian continent, Honolulu Biennial engages with the rich cultural diversity of Hawaii, fostering greater intercultural exchange, cultural diplomacy and understanding through art. 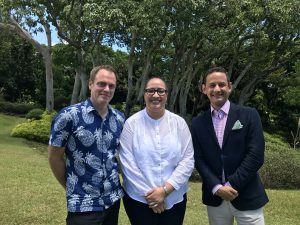 The Honolulu Biennial Foundation (HBF) supports the local arts infrastructure with a global outreach by presenting a new arts festival, the Honolulu Biennial. The launch of Honolulu Biennial marks Hawaii’s first entry into the international biennial circuit. Honolulu Biennial will focus on art from the Pacific, the Asian continent and the Americas. Through the celebration of contemporary art in the regions of focus, Honolulu Biennial engages with the rich cultural diversity of Hawaii, fostering greater intercultural exchange and understanding through art. Honolulu Biennial will present international contemporary artists alongside local artists, emphasizing Hawaii’s notable, but under-recognized artistic contributions on a global platform. In addition, Honolulu Biennial will highlight Honolulu as a fresh destination for international and national arts and cultural visitors, fostering a cultural awakening and repositioning of Honolulu as central to the Pacific-wide growth of arts, technology, and commerce. 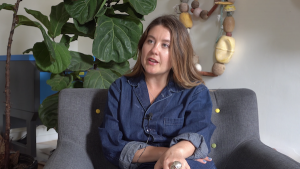 Watch our exclusive interview with Katherine Tuider, Executive Director and Co-founder of the Honolulu Biennial. 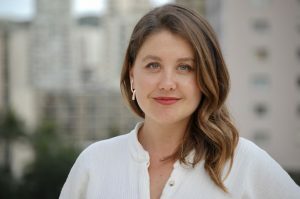 Tuider talks about the origins of the biennial, its distinctive approach, and, connection to the cultures of the Pacific. Honolulu Biennial Foundation (HBF) is launching a new series, Biennial Talks, in collaboration with Na Mea Hawai'i. HBF is launching a new series: Biennial Talks. The Honolulu Biennial Foundation (HBF) announced the appointment of Fumio Nanjo as the curatorial director for the first Honolulu Biennial, slated to open fall 2016. 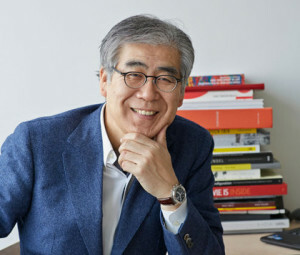 Fumio Nanjo Curatorial Director of Honolulu Biennial. HBF is looking to fill volunteer, intern and assistant roles, both short-term for the prologue exhibition and programs, as well as long-term roles. Extended deadline: 15 September, 2014. 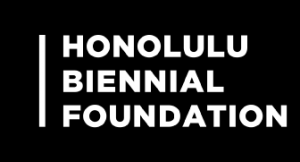 Opportunities with the Honolulu Biennial Foundation. The Honolulu Biennial, presented by Honolulu Biennial Foundation (HBF), is a new Biennial, officially launching in 2016 that marks Honolulu’s first entry into the global biennial circuit, with a focus on art from Oceania, the Asian continent, and the Americas, which is thematically examined in this prologue exhibition. 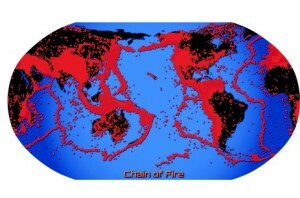 Honolulu Biennial: Prologue Exhibition Chain of Fire. The Honolulu Biennial marks Hawaii’s first entry into the global biennial circuit, focusing on art from Oceania, the Asian continent, and the Americas. 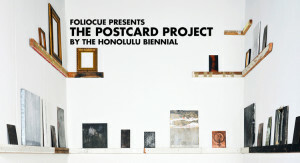 Postcard Project for the Honolulu Biennial Foundation.